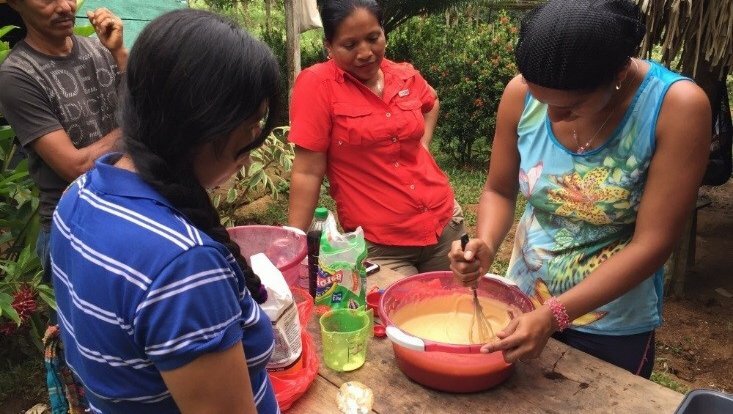 In order to address the scarcity of economic opportunities for women living in rural Panama, Peace Corps environment Volunteer Morgan Cunningham acquired a grant through the Peace Corps Partnership Program to fund a bakery project in her community. After being trained in critical skills relevant to starting their own business, including financial training, the eight women Morgan worked with were able to set up a bakery and have successfully maintained and profited from it for over a year. With their supplemental income, the women are able to afford school fees, extra food items, and other goods to benefit their families and communities. Having a disposable income has given the women more economic power in their society. The project above was funded through the Peace Corps Partnership Program (PCPP) which is a small grants program funded through private sector donations. PCPP funds volunteer-led, community initiated projects in all Peace Corps countries and sectors. Learn more about PCPP.